Dr. Dre was named the world's top earning musician last year, primarily due to his hot selling line of headphones. 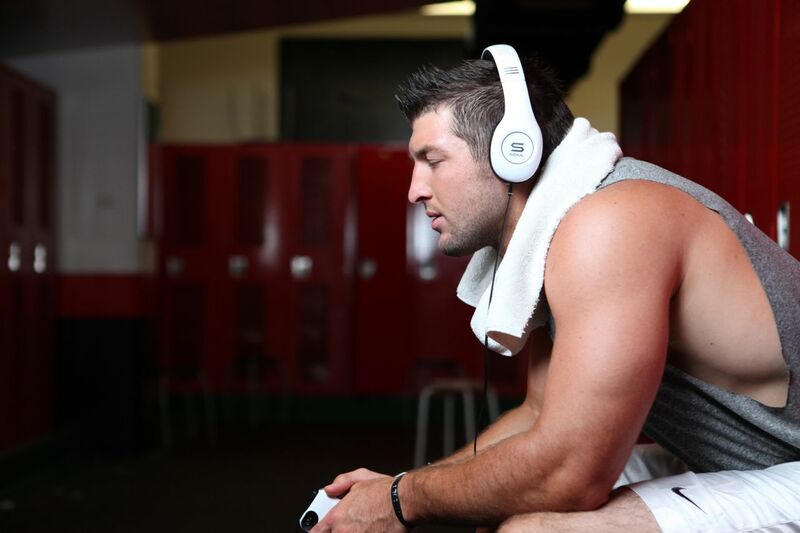 Tim Tebow wants some of that action and he's in Las Vegas this week to hawk his own headphones at the massive Consumer Electronics Show. The Tim Tebow Soul Signature Series is available for pre-order at $224.99 each and "they’re also a stylish option for the tasteful traveler looking for superior noise cancelling technology." Perfect for books-on-tape like the you-know-what. Further crowding the celebrity headphones field is Snooki, who will also be at the show to plug her blinged-out line.